We’ve already covered some of the favourites for the Gfinity FIFA Series, but what about the players who’ll be looking to cause an upset? Plenty of FIFA players in the past have risen from relative obscurity to claim the title, and it would take a FIFA fan of curt memory to forget the shock F2Tekkz caused when he won the FUT Champions Cup in Barcelona. Initially dismissed as a freak result, the win gave him a platform to become arguably the best player in the world, and so with a keen eye we look at some of the players who’ll be hoping to make a name for themselves this weekend. Also known by his gamertag “Nasri121017”, Web claimed a coveted first place monthly ranking in FIFA 18 back in September, although his rankings have traditionally fluctuated throughout his pro career. Despite this, there are clear signs of improvement from the Japanese, as having first ranked at 438th back in April 2017, he has since claimed top 40 positions in three of the past four months. This coupled with strong showings at recent FIFA events, including an 8th-place finish at the Continental Cup, make Web a decent outside shout for the trophy. The Brazilian has been with Wolves’ esports branch since November last year, and his association with a professional outfit has undoubtedly helped improve his FIFA game. 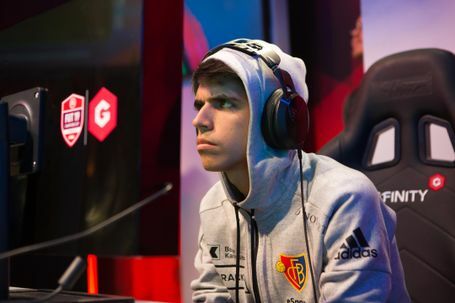 After signing with Wolves, Fifilza7 jetted across the world the to Bucharest for the FUT Champions Cup and finished an impressive 22nd in his first major tournament. Having also claimed a personal-best 67th monthly ranking this January, Fifilza7 will be leading the chasing pack hoping to shock one of the big names. Currently on the books of professional German side FC Schalke, Tim Latka has had a strong few years in competitive FIFA without having brought home a major tournament win. However, good performances in his last few tournament outings, including 8th and 12th placed finishes at the PGL FIFA 19 Cup and the previous FUT Champions Cup London respectively, put him in good stead. Having burst onto the scene by claiming four top ten monthly rankings in FIFA 17, Tim will want nothing more than to show he is living up to his potential by bringing home the win. Another player who has historically drifted near the fringes of the monthly rankings, Kid M3mito has shown tremendous signs of improvement in FIFA 19 with three top ten rankings already under his belt. 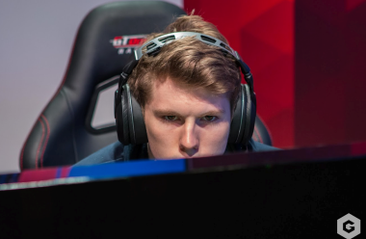 With a previous best placing of 49th in February 2018, it could be that the American’s stars are aligning, and his 32nd place finish at the FUT Champions Cup Amsterdam against a tough competitor pool also highlighted his potential. The most recent draftee to the impressive PSG Esports roster, Rocky has been on the books of the Parisian outfit for over six months and will be hoping to recapture his incredible form from earlier versions of FIFA. Having won the Berlin FUT Champions Regional Cup back in 2017, allied with strong showings in 2017 FIFA eWorld Cup (then known as the FIWC) and the Paris FUT Champions Regional Cup, Rocky has failed to build on his promise thus far in FIFA 18 and FIFA 19. However, top 20 rankings in the past two months show that he could make a significant impact at the Gfinity Esports Arena. You can watch both days of the tournament live on Twitch, so make sure to tune in on Saturday and Sunday to see the action live!